<jsnover> ### HAL what hair products are you using today? <sepeck> ## Any known conflicts with things like Exchange or System Center Operations Manager like previous versions of PowerShell had? <organicit> ## any discussions of docker support in the near future? <MikeFRobbins> ## Will the "x" ever be removed from the DSC resource names? Are they going to be experimental forever? 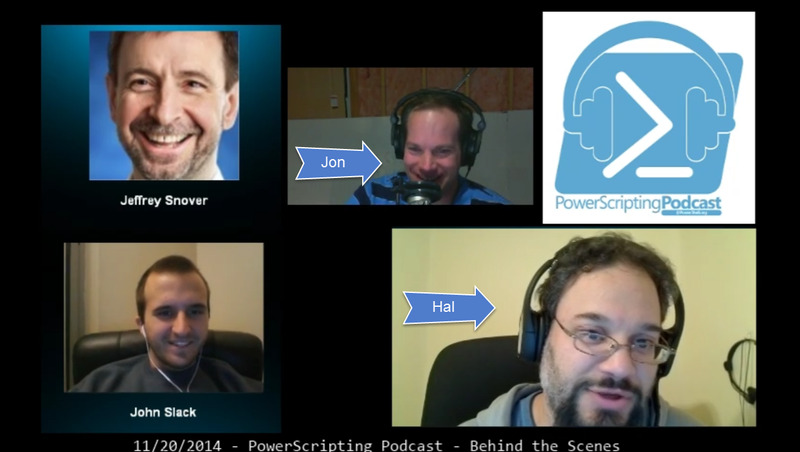 <sepeck> ## When is the MS Virtual Academy session on PowerShell v5? <ehorley> ## How is the pace of change impacting stuff like PDT? <poshoholic> ## Given Microsoft's penchant towards open source these days (like .NET, huzzah! ), how about open source PowerShell and PowerShell ISE?